Travel tech professionals need to collaborate to provide holistic customer experience experts agree. Shifting customer behaviour, distribution evolution and the changing dynamics within direct and indirect sales channels and the digital transformation come under the spotlight … reports Asian Lite News. 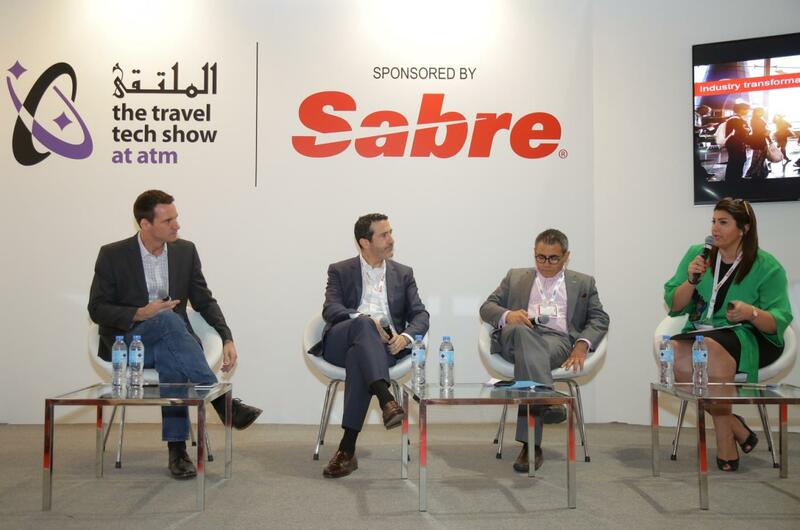 A panel of travel technology experts from Sabre, wego and Tajawal, came together at the Travel Tech Show at the Arabian Travel Market yesterday (Sunday 22nd April) to discuss the defining evolutions of hospitality technology. 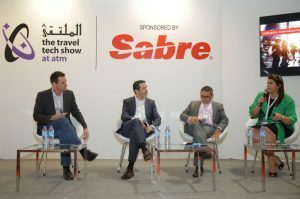 During a panel discussion entitled “Distribution evolution and the latest industry trends”, panelists addressed the issues that are becoming increasingly prevalent throughout the the Middle East travel industry, which continues to evolve, driven by high adaptation of the latest technologies and significant growth in the online space. The panel identified three main global trends that are transforming the future of travel including; shifting customer behaviour, distribution evolution and the changing dynamics within direct and indirect sales channels and the digital transformation. One of the first issues discussed was that of fragmentation during the customer experience. “Industry stakeholders – providers, intermediaries and sellers – need to work together to complement each other’s roles and address the industry changes collectively.” said Fatin Said, Regional Communications Manager, Sabre Travel Network, Middle East. “We all need to recognise how data can be used intelligently across the sector to achieve personalisation and how to recruit emerging technologies to improve the traveller experience. 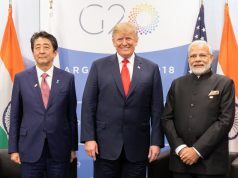 They need to work towards a less fragmented travel ecosystem,” added Said. 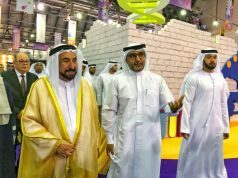 In a commissioned study Sabre conducted in the UAE last year, it found that 46% the UAE travellers are willing to be loyal to a brand if they provide them with personalised offers. “Mobile is also key to capturing people’s loyalty and winning the consumer game. Travel suppliers need to deploy advanced mobile and marketing strategies to serve the tech-savvy traveller, who expect to search and book on mobile. Travel players should be able to provide and offer travellers precisely what they want, when they want it, at every step of their trip on the device they choose!” added Said. The shift in consumer expectation is changing the landscape of travel distribution. Travel suppliers are increasingly looking for ways to differentiate their offerings – looking to market to travellers in new ways – to maximise their revenues. New standards, such as New Distribution Capability (NDC), are becoming increasingly adopted by airlines experimenting with their distribution strategies. However, NDC is just one component of a wider shift in retailing and distribution in the travel industry, and this year Sabre is developing innovative new technology that will help suppliers to tell their stories effectively through an indirect channel. “NDC standards are just the beginning.” said Jorge Vilches, senior vice president Air Line of Business, at Sabre Travel Network. “Our broad portfolio of retailing, distribution, fulfilment, and data and analytic solutions, coupled with decision science allows us to take NDC to a new altitude. Imagine a world with ‘beyond NDC’ technology? “When a traveller goes to shop for an airline ticket, the airline is able to identify that person and their unique characteristics and can then sell directly to that person regardless of channel. “For example, if an airline can determine that a shopper is interested in buying ancillaries like Wifi or a beverage, this presents an opportunity to bundle ancillaries and sell them in a way that otherwise might not be available. This is Sabre’s vision for evolving technology to benefit both travellers and our airline customers,” commented Vilches. Sabre is now launching the industry’s first Digital Airline Commercial Platform delivering end-to-end personalised retailing, to further enable enhanced travel experiences for airline customers and increased revenue opportunities for airlines.